Four-eyed QT. Made by homette @ community.livejournal.com/adoringseth. Wallpaper and background images in the Seth MacFarlane club tagged: seth macfarlane glasses. 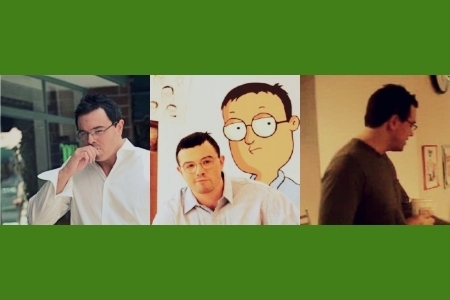 This Seth MacFarlane fan art contains portrait, headshot, and closeup.